This truly lovely design really is a feast for the eyes! 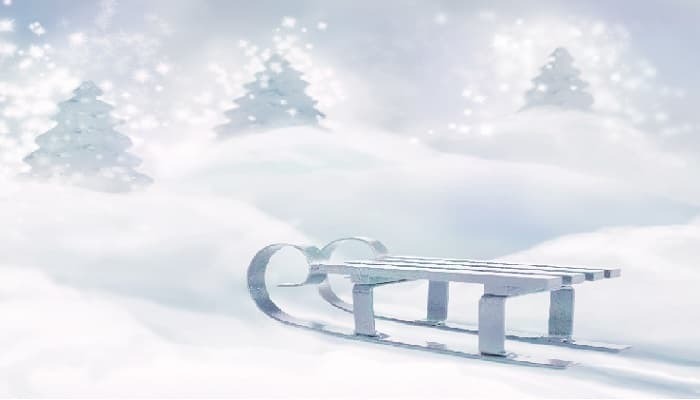 The Christmas ecards for business centrepiece is the pretty platinum sleigh that is pulled through the blanket of glitter snow, creating a magical scene. The heavy metal of the sleigh makes it look sturdy and heavy but very chic at the same time and is very polished and shiny. The trio of stunning white trees in the background add sparkle and practical dazzle off the page with animation. You can feel the magic in the air on this Christmas night. It’s as though Santa is getting his sleigh ready for the trip before he makes his way into the beautiful white winter night. At Ecard Shack we always aim to create stunning images to suite every customer’s holiday needs. We always select the highest quality images with incredible animation to really bring the ecards to life. This makes us the leading provider of corporate holiday ecards. Why not log onto our website today and register an account with us and see how easy our design process is. We also have a fantastic customer support team ready to help if you need to contact us. We are always happy to help. Do it now!